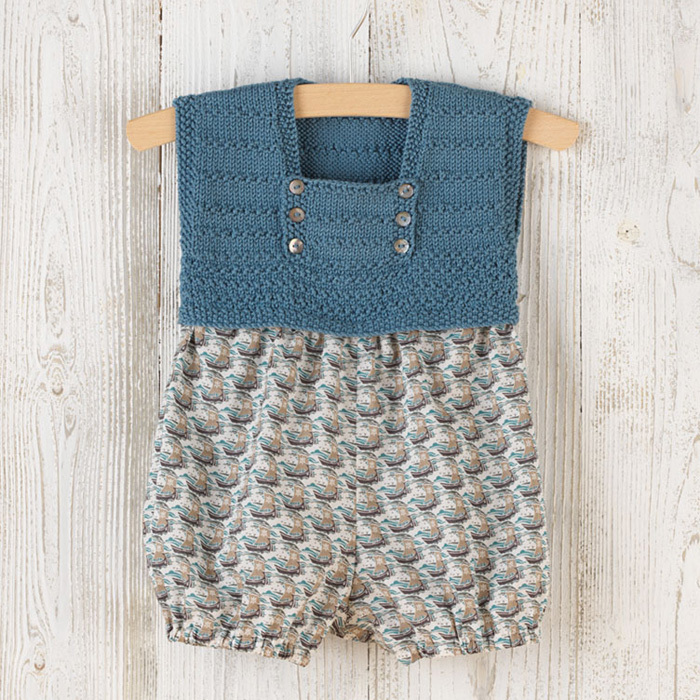 Based on our Sparrow design we have nautical inspired rompers for boys and girls. The bodice is knitted flat in graduated stocking stitch and moss stitch stripes with moss stitch edgings. 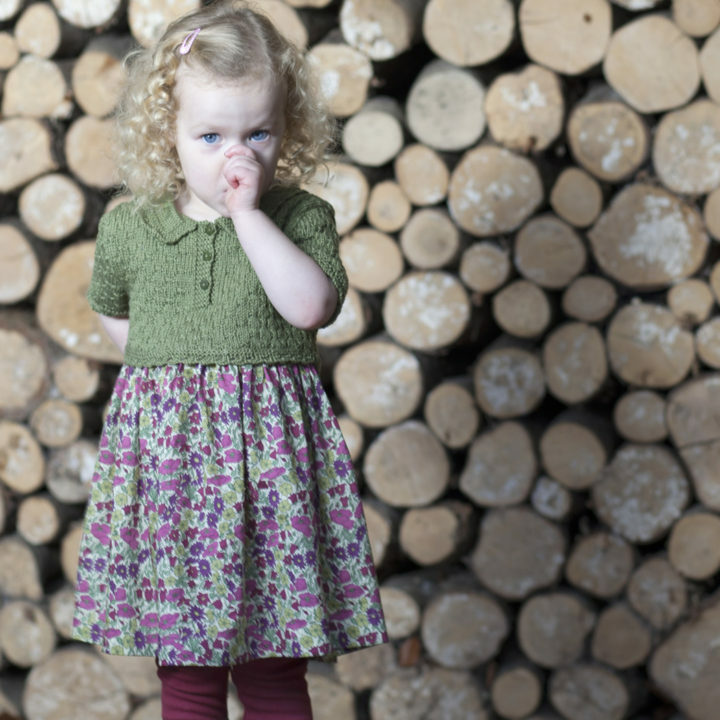 can be made up in sizes 6 -12 or 12-18 months. 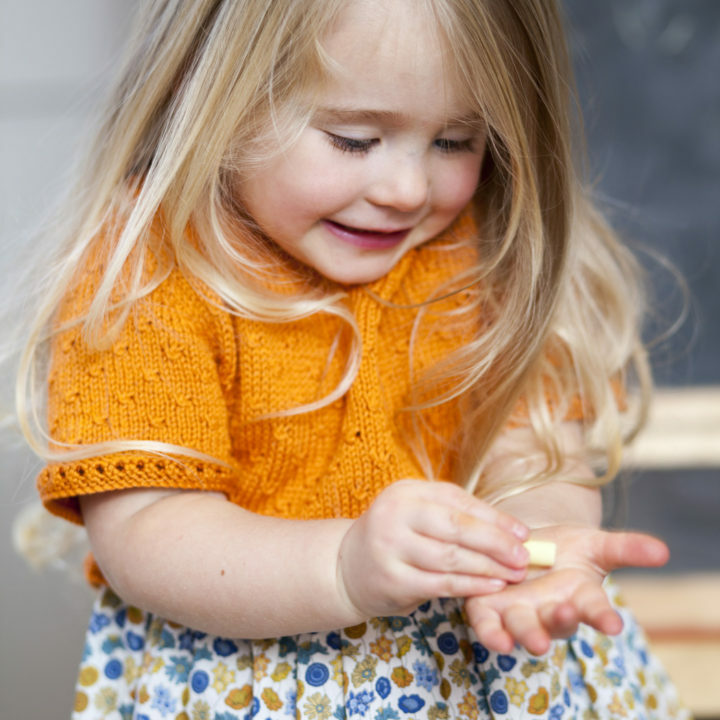 The pattern includes illustrated step-by-step sewing instructions. 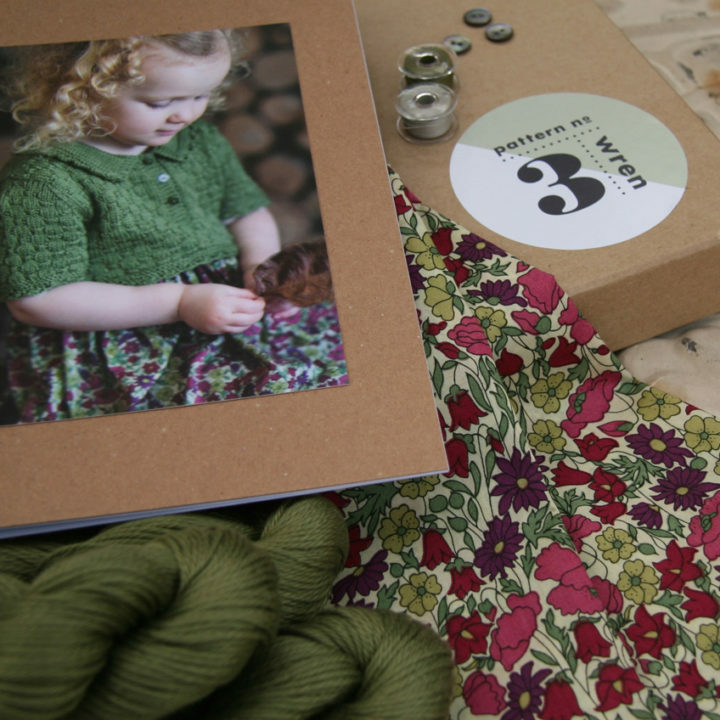 The kit includes the knitting and sewing patterns, pima cotton, fabric, co-ordinating buttons, sewing thread, elastic and poppers. Needles not included. Machine washable on delicate cycle at 30 degrees. 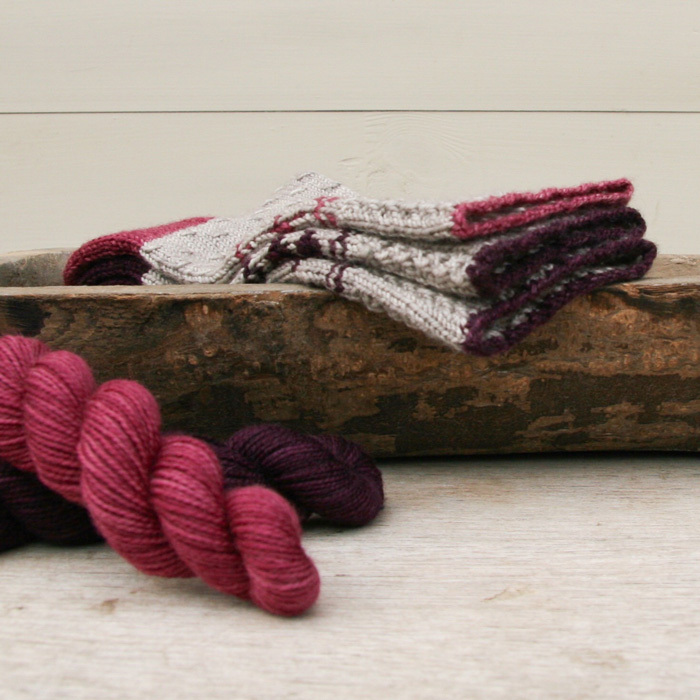 Skills required: casting on, casting off, knitting, purling, increasing, decreasing, picking up stitches and yarn overs. Pipit has everything to keep you and the wearer interested! Tactile bobbles and mirrored cable panels make this a pattern suitable for the confident knitter. 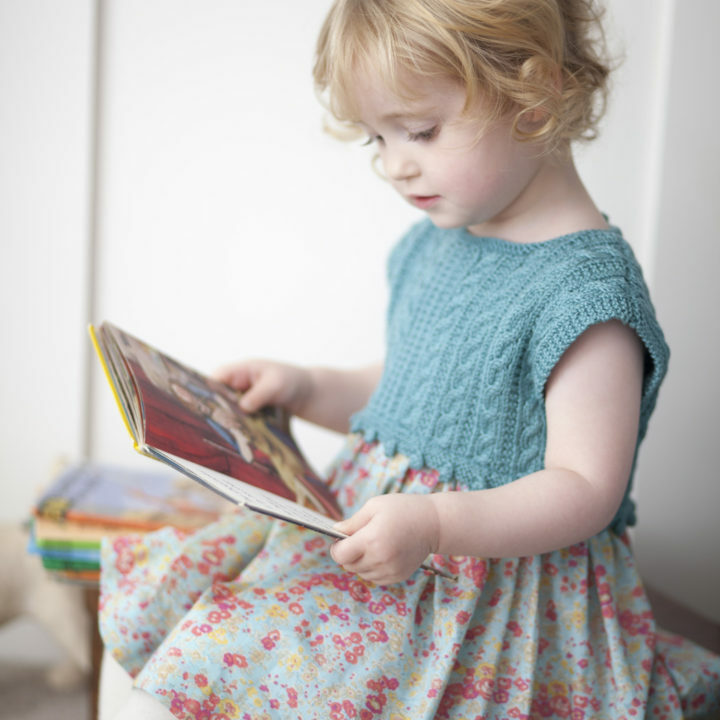 The bodice is knit flat in 100% silky soft Pima cotton with the instructions for the cables being both written and charted so you can pick which you prefer. The back divides with a grown on buttoned placket. When both front and back are finished the shoulder seams are joined and stitches are picked up for the neckband. The dress is finished with a gathered skirt of classic Liberty Tana Lawn. 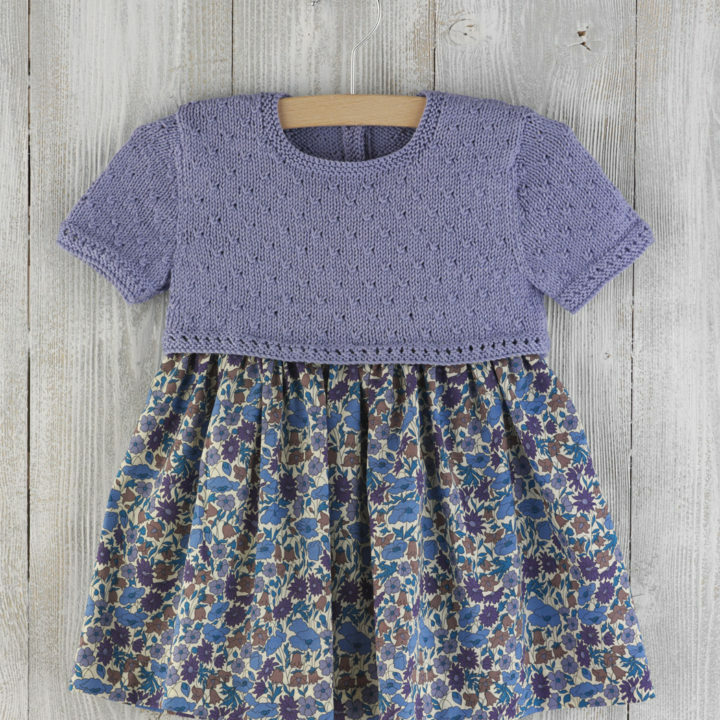 A simple gathered skirt of finely woven Liberty Tana Lawn is sewn to the bodice. Skills required: casting on, casting off, knitting, purling, increasing, decreasing, picking up stitches and knitting stitches, following a cable pattern, twisted stitches and yarn overs. The skirt is machine sewn on. Plover has a classic look. A garter stitch eyelet border and an all over textured pattern is easily created by yarn overs making it a quick yet fun knit for the advanced beginner. 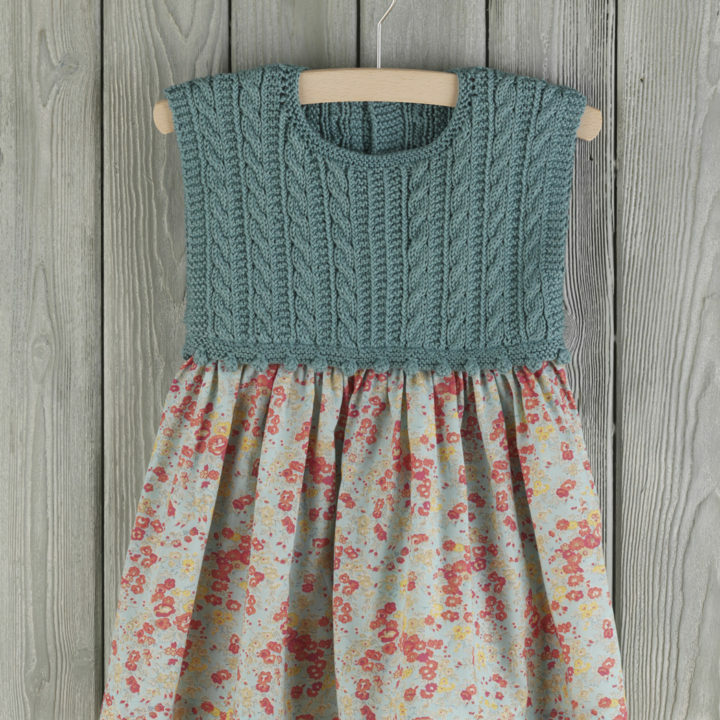 Knit in super soft 100% Pima cotton Plover buttons up the back for easy dressing and has sewn on Liberty Tana Lawn skirt for a nostalgic vintage feel. Front and back are knit separately and then joined at the shoulder, stitches are picked up for the neckband, then the sleeves are knitted and attached. 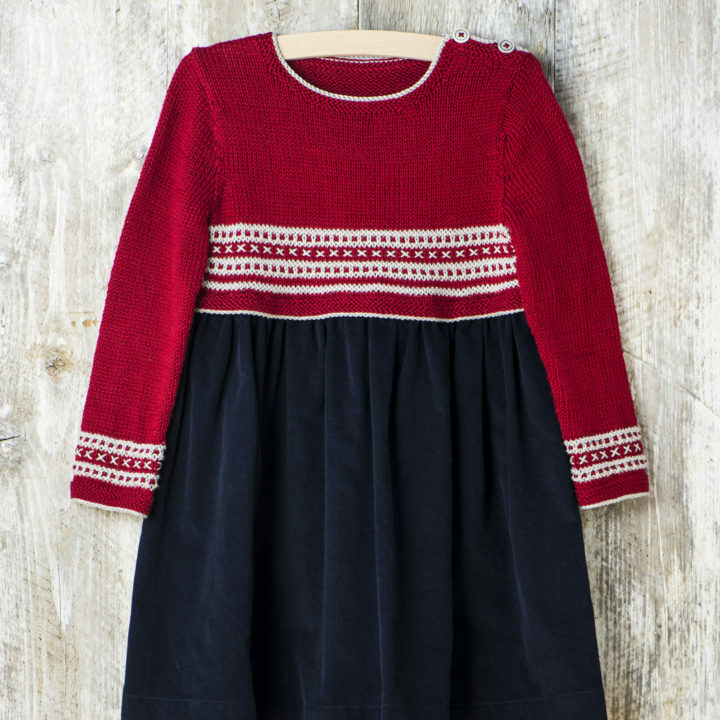 This cosy little dress has a distinct Scandinavian look with a simple slipped stitch stripe and very easy cross stitch embroidery. 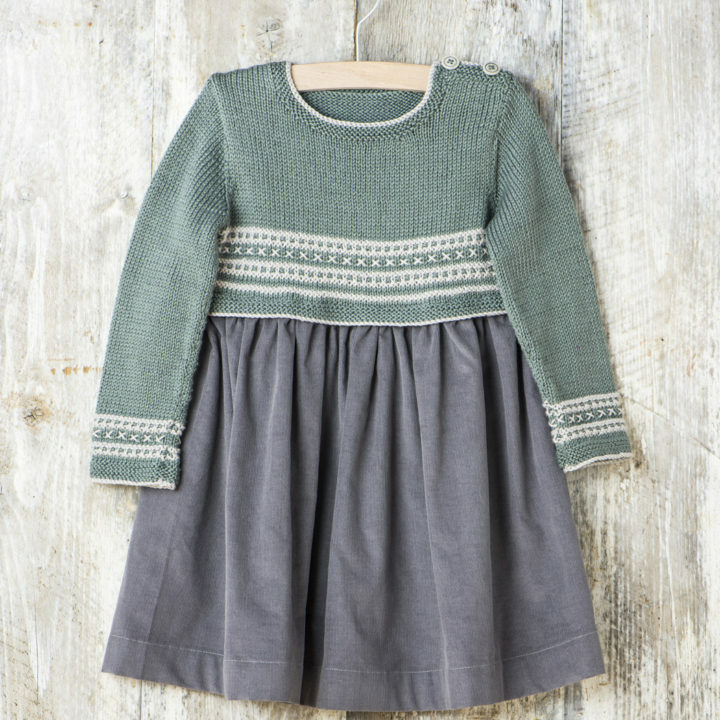 Paired with woolly tights it makes a lovely winter party frock. The top is knitted from the bottom up, in the round dividing for the front and back after the colour work has been completed. The shoulders have a neat three needle cast off and the sleeves are knitted flat with cross stitch embroidery added after seaming. 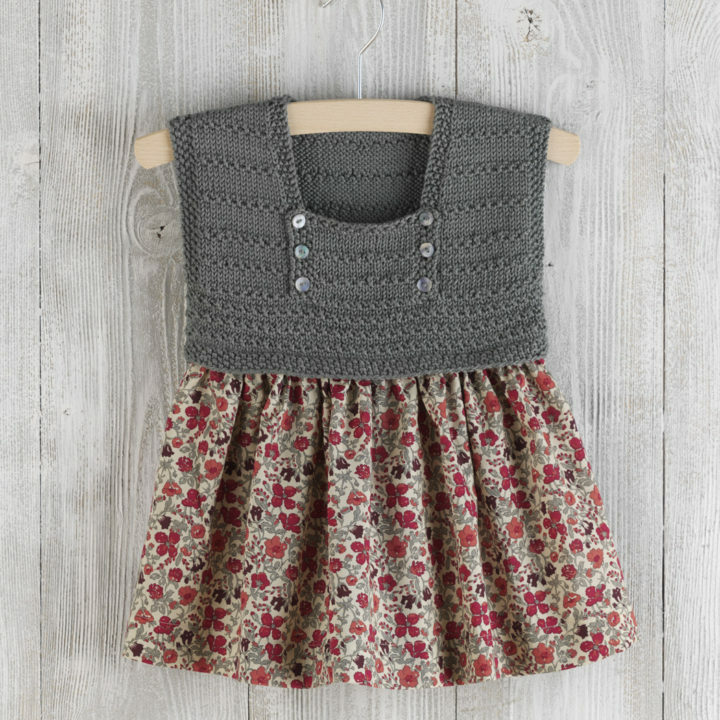 A simple gathered baby cord skirt is sewn to the bodice. Skills required: casting on, casting off, three needle cast off, short rows, knitting, purling, increasing, decreasing, picking up stitches, cross stitch embroidery. The skirt is machine sewn on. 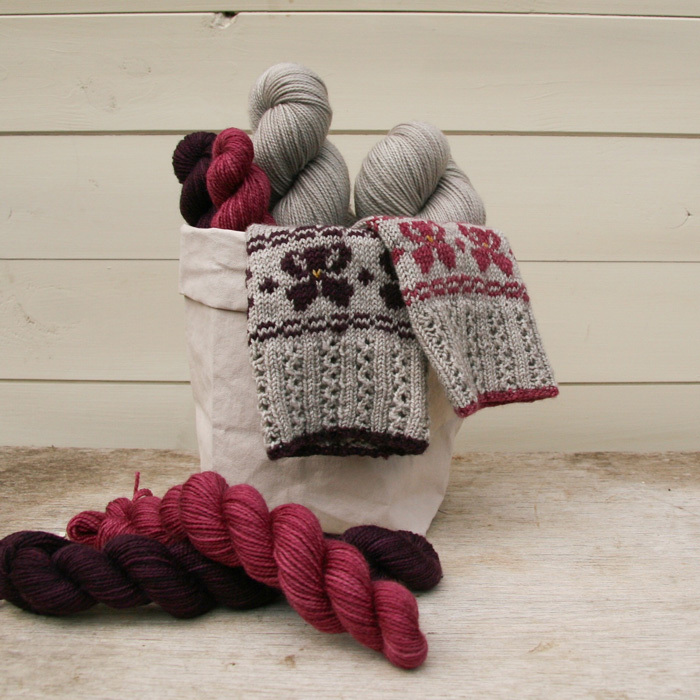 The kit includes the pattern, Pima cotton yarn, fabric, co-ordinating buttons and sewing thread. Needles not included. 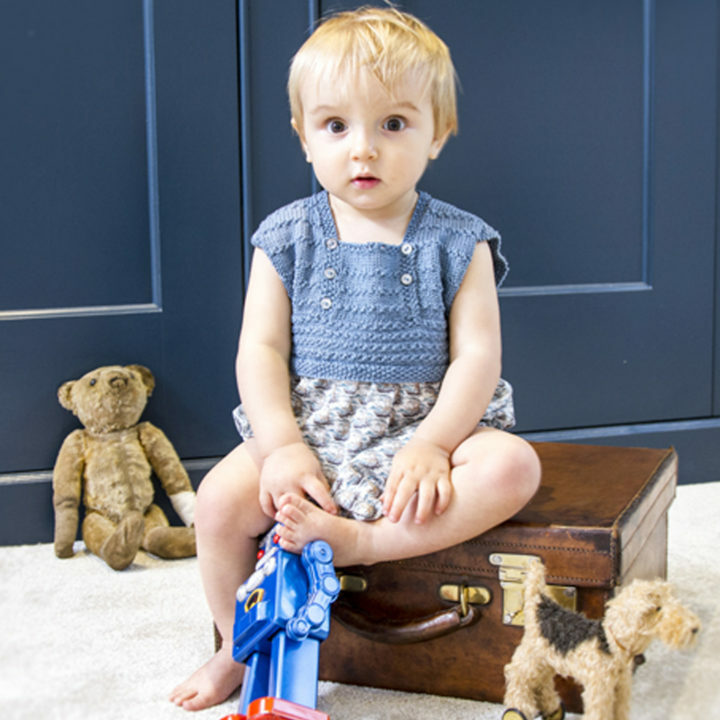 The simplest of our dresses to make Sparrow has a nautical feel. Easy to knit in graduated moss and stocking stitch stripes with moss stitch edgings. The front divides with each side being knit separately, stitches are then picked up for the front bib which has yarn over buttonholes. Front and back are knit flat and then joined at the shoulders, and stitches picked up for the moss stitch neck band.